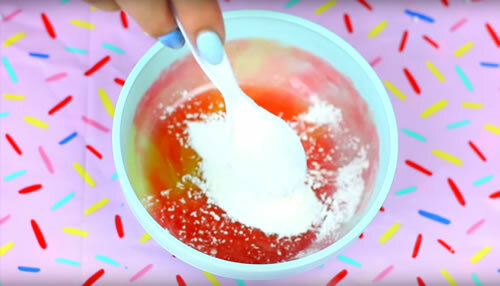 Yummy edible DIY slime….are you ready for this homemade edible slime that only uses 2 ingredients? 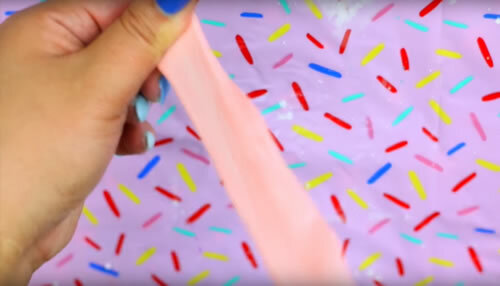 You can also make this edible slime recipe in under 5 minutes. 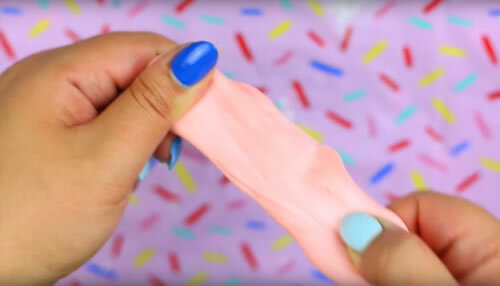 This is an easy DIY slime that is fun to make. 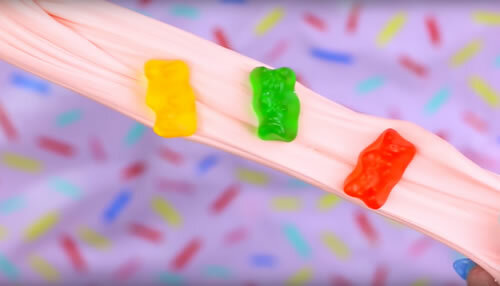 This is an edible slime with gummy bears. 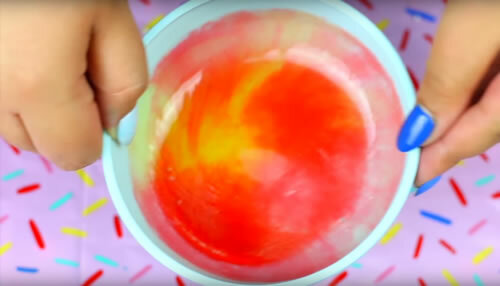 You could trade out the gummy bears and make this edible slime with Starburst. This is a must try edible candy slime recipe. Fun DIY craft project that kids, teens and tweens will love. You can follow the video tutorial or the step by step instructions. Make your edible slime in different colors – you could make a rainbow of colors with this DIY edible slime. Take a look at this edible slime you can make at home today! Looking for more slime DIYs? Here are a few more slime activities and ideas for you to check out! 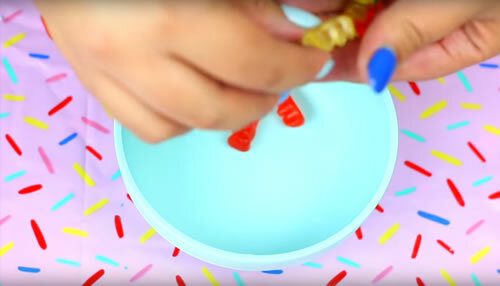 Are you ready to make some edible DIY slime? 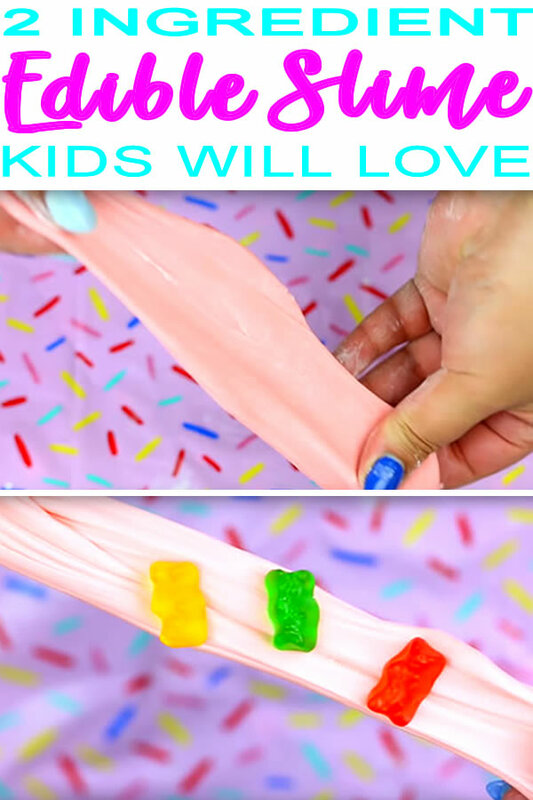 This is a fun and easy edible candy slime that you can make right now. 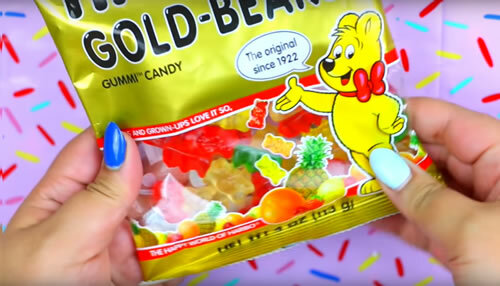 No need to use marshmallows, hot chocolate, frosting, Jello, Kool Aid, Peeps all you need are yummy and delicious Gummy Bears. So if you want a fun DIY craft project that is great everyone you should try this edible slime. This cool DIY is a great kid recipe that will require adult supervision as you need to use the microwave but it is an easy homemade edible slime. This slime would be fun to make for a birthday party as an activity (like a sleepover party / slumber party). It would also be cool to make a slime kit out of by packaging Gummy Bears and the cornstarch in a little container then putting it all in a cello bag with instructions. This video was made by Hello Maphie on Youtube – please stop by her channel and show her some love and support. She has a lot of Youtube slime vide tutorials like: water slime, 1 ingredient slime recipes, testing slime, satisfying slime recipes, no borax slime recipes and so much more. She also has a Spanish channel there she has Haz Slime Con 1 Ingrediente, Haz Slime Con Agua & more. If you need more inspiration or slime activities you can out Pinterst – there you can find easy edible slime recipes like ones made with psllium, pudding, powdered sugar, chocolate, Skittles, peanut butter, no cook, Jolly Ranchers, Nutella, and many more edible slime recipes that taste good. Leave me a comment and let me know what your favorite edible slime is to make and / or what is your favorite slime to make at home. Until next time I hope you have a great day and that you can make some fun and cool DIY craft projects!